See that 3-D tour! 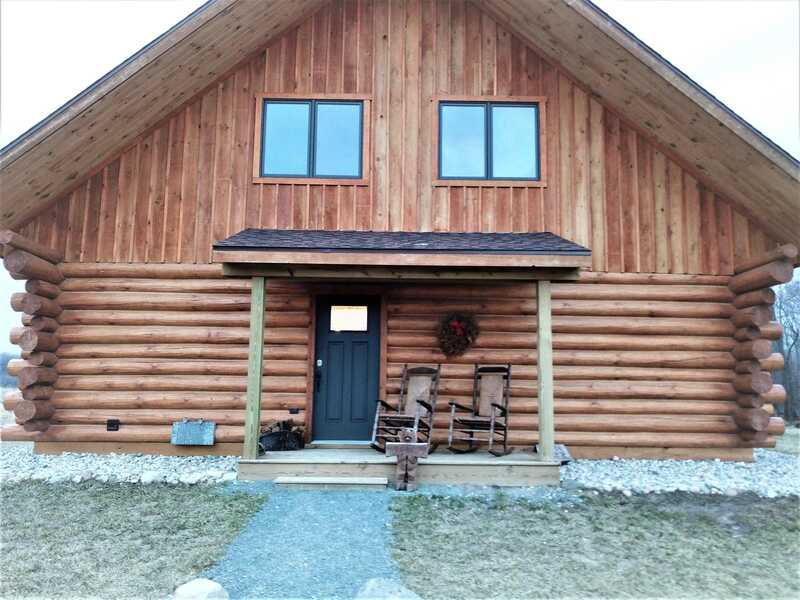 – This FOUR bedroom LOG HOME is a charm. Secluded from the road on over 18 acres, this one is understated. You simply MUST see that 3-D tour to appreciate the space! The great room faces the wooded area and windows to pastures. Everything still looks new and fresh. You can personalize this full scale log home as a full time home or a log cabin. Agriculture, hunting, horses, all of if can be right in your back yard. CAll now to see this private, unique and affordable log home. See that 3-D tour! Directions: US 10 to Custer Road. North on Custer to Sugar Grove. Just east of Reek road the house is on the North side of Sugar Grove.